Are our website and online forms secure? We promise to protect your personal information. Any page at www.TenderRockCounseling.org (include all the online forms at our website)that asks you for personal information is highly secure. 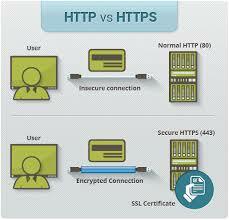 Our secure servers protect your information using advanced encryption and firewall. 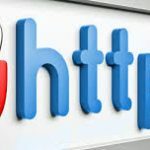 Most browsers will show a “lock icon” in the address bar or in the bottom status bar on secure pages, or you can see our website address begin with “https://” instead of “http://”. Look for this “lock icon” or “https://” on any web page that asks for your personal information. 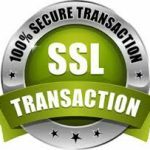 To further ensure your security, we use state-of-the-art SSL (Secure Sockets Layer) encryption to protect your personal information from unauthorized use. To get help for Neurofeedback Training / Treatments / Therapy in Bellevue, Factoria, Eastside, Redmond, WA, near Renton, Issaquah, Medina, Mercer Island, Sammamish, Woodinville, Newcastle, Kirkland and Bellevue, WA. Tender Rock NeurOptimal / Neurofeedback Training Center. Adolescent Eating Disorder Recovery Group, Adolescent Eating Disorder Recovery Group Bellevue, Adolescent Eating Disorder Recovery Group Bellevue WA, Adolescent Eating Disorder Recovery Group Factoria, Adolescent Eating Disorder Recovery Group Factoria WA, Adolescent Eating Disorder Recovery Group Eastside, Adolescent Eating Disorder Recovery Group Eastside WA, Adolescent Eating Disorder Recovery Group King County, Adolescent Eating Disorder Recovery Group King County WA. Adolescent Eating Disorder Recovery Group, Adolescent Eating Disorder Recovery Group Bellevue, Adolescent Eating Disorder Recovery Group Bellevue WA, Adolescent Eating Disorder Recovery Group Factoria, Adolescent Eating Disorder Recovery Group Factoria WA, Adolescent Eating Disorder Recovery Group Eastside, Adolescent Eating Disorder Recovery Group Eastside WA, Adolescent Eating Disorder Recovery Group King County, Adolescent Eating Disorder Recovery Group King County WA.